What Makes Freedom Wealth alliance Different? Most people are left confused about their money, their statements, & their future. 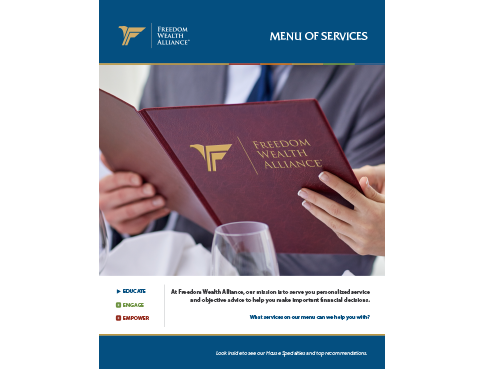 Freedom Wealth Alliance was established with a passion to serve each client as though they are the only client. It is our mission to provide personalized service and objective advice to help our clients make important financial decisions. 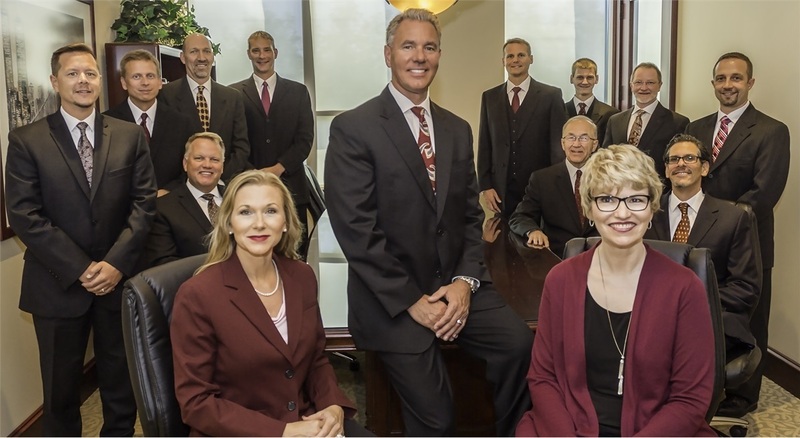 It is important that we embark on a relationship with our clients in a long-term fashion as our process of financial planning and investment management is rooted in trust, transparency, and a commitment to a disciplined process. Finally, with regard to our client’s irreplaceable capital, it is our goal to help ensure their money provides them the lifestyle they have worked hard to enjoy. To live the life that matters most to them – To Live Well and To Live Free! "Our advisors explain, educate and listen to ensure our clients are clear about their money every step of their financial journey." We speak your language, so you have a clear understanding of what your money is doing. We keep you informed about your investments and the markets. We combine Right fit investment portfolios with your risk category to help you choose the style, comfort and fit you are looking for in your financial journey. We have an experienced team and a comprehensive, disciplined investment process to help you navigate the complex terrain of life’s events and global markets. We want to provide you with ease and conveniences in your financial life and many of our services are geared to do just that. We customize your experience to what best suits your needs and lifestyle. 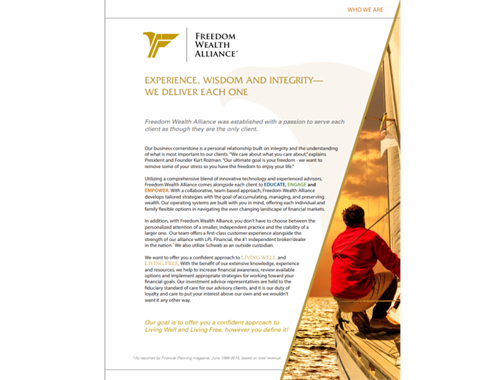 At Freedom Wealth Alliance, our mission is to serve you personalized service and objective advice to help you make important financial decisions. What services on our menu can we help you with? 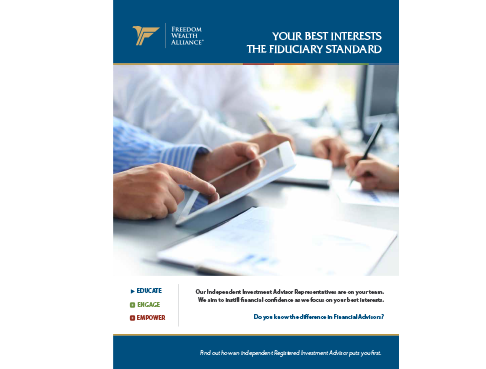 Our Independent Investment Advisor Representatives are on your team. We aim to instill financial confidence as we focus on your best interests. Do you know the difference in Financial Advisors? Freedom Wealth Alliance was established with a passion to serve each client as though they are the only client.